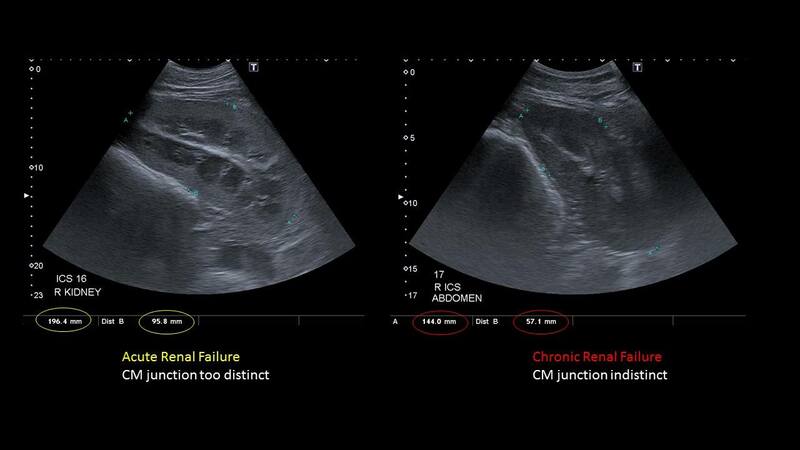 Ultrasound is one of the most valuable imaging tools for evaluating, diagnosing and influencing the healing process. 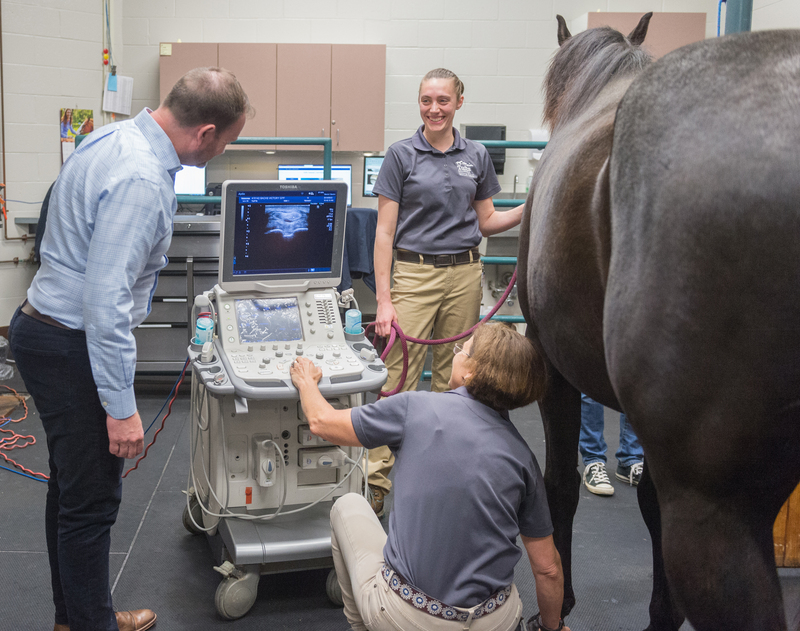 Tufts Equine Center is one of the few places in the country offering a service dedicated to equine ultrasound. We utilize our unique expertise and advanced equipment to image everything from the most superficial tendons to the deepest abdominal organs, leading to a more accurate diagnosis and treatment plan. While we routinely evaluate tendons and ligaments, we also examine complex joints, wounds, masses and eyes, as well as the entire thorax and abdomen for guided injections, diagnostic fluid sampling and biopsies. In addition to supporting cases within the hospital, we also offer direct consultations and outpatient ultrasound appointments. Often, we see cases where the referring veterinarian has done a thorough workup and has requested an ultrasound consultation. We take great pride in our collaborative approach to diagnosis and treatment, working hard to ensure you gain exceptional value from our partnership. Our advanced hospital-grade Toshiba Aplio 300 machine provides high-quality, detailed images for routine and advanced examinations. We also have a collection of micro convex, large curvilinear, cardiac and rectal probes excellent for imaging virtually every part of the horse. All of our images are digitally recorded, allowing for easy transfer in a variety of formats to our clients and their referring veterinarians. We routinely compare stored images from previous exams to evaluate changes and progress. 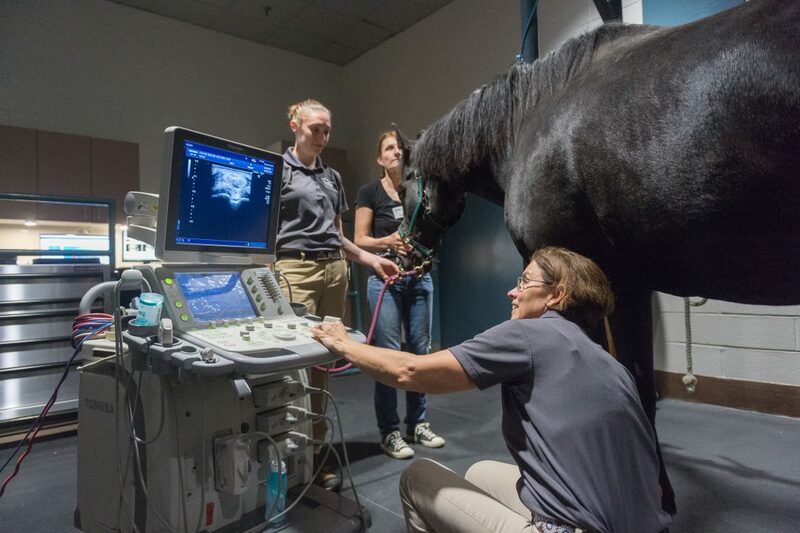 Our client services representatives are ready to assist you with your appointment in the Ultrasound Service at Tufts Equine Center. The Ultrasound team is led by Drs. 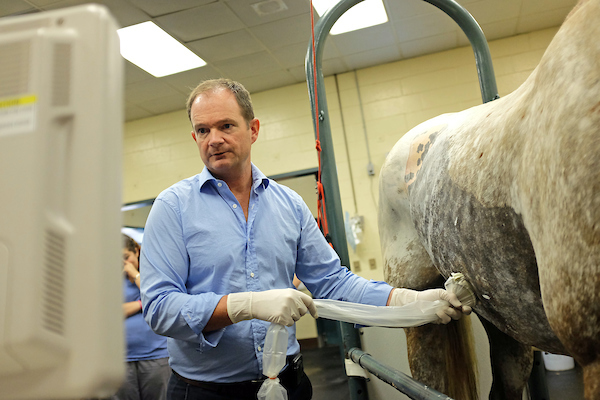 Wade Tenney and Kate Chope offering innovative and specialized care for your equine athlete.